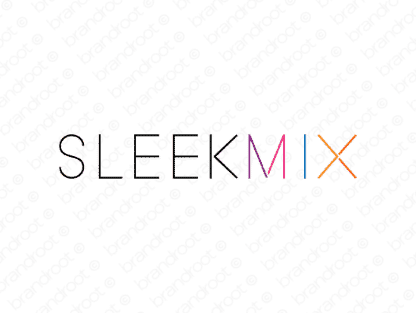 Brand sleekmix is for sale on Brandroot.com! This creative combo of "sleek" and "mix" delivers a suave and stylish character that's instantly likable. Sleekmix is a fantastic multifaceted name with diverse opportunities for a variety of brands from music and multimedia companies to inventive cooking or food products. You will have full ownership and rights to Sleekmix.com. One of our professional Brandroot representatives will contact you and walk you through the entire transfer process.